Sign up for Broadjam today to follow Donna Loren, and be notified when they upload new stuff or update their news! 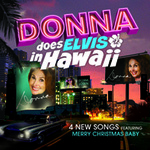 The early eighties proved to be an exploratory period for Donna's music. After her retirement in 1968, she fully devoted herself to being a wife and mother of three children. In 1980, she developed a rapport with pianist John Thomas and legendary guitarist James Burton, to produce a plethora of songs over a two year span. Most of the music was recorded at Amigo Studios in Burbank, California. Two of the songs, Wishin' and Hopin' and Somewhere Down the Road were released by Warner Bros Records in 1982. She performed the latter on the Merv Griffin Show in 1984 and in February, 1985 she performed Hard to Believe in Tokyo at an International Ballroom Dancing event; that performance is included as a bonus on this CD**. 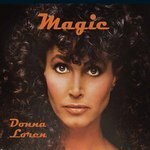 Sedona and Simply Loving You were released in 1982 on Donna's own Royalty Records label. All of the other tracks and the Bonus Video have never before been seen or heard by the public. On Sedona, James Burton, whom Donna worked with since childhood, orchestrated a reunion of his former Elvis band to play back-up: Ronnie Tutt on drums, Jerry Scheff on bass, Glen D. Hardin on piano, himself on guitar and special guest Chris Hillman (Flying Burrito Bros) on mandolin. Wishin' and Hopin' was recorded in Nashville with musicians David Hungate (Toto) on guitar and John Thomas on piano. A host of other musicians organized by either David or John have contributed to this gem.